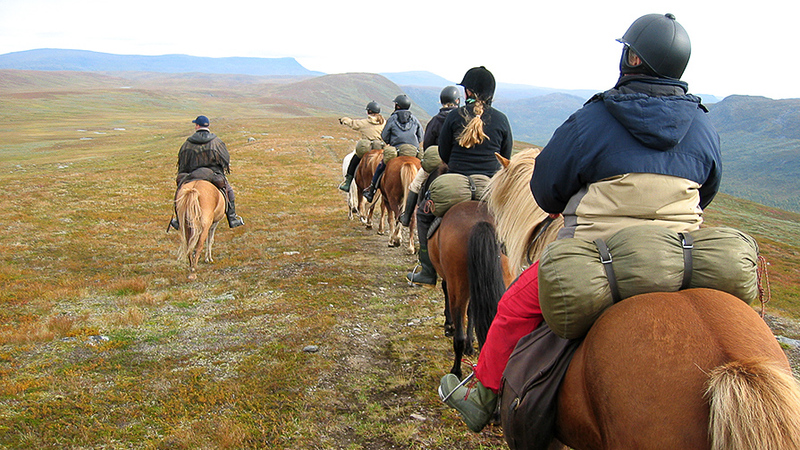 Come along with Fjällhästen for a three days long riding tour into the Vindel Mountains Nature Reserve. We spend two nights in Fjällhästen’s comfortable long cot by Lake Tjaskal with dinners mostly cooked with local prime products. During the second day we ride above the tree limit along the elongated mountain Stuore Jåppe to the mountain lake Raksjaure where we stop for coffee and then return to Tjaskal. Arrival at Ammarnäs and Fjällhästen’s hostel where you check in at any time. Dinner this evening is not included in the price but restaurants in Ammarnäs are open. We have breakfast at the hostel and then meet about ten o’clock for a briefing on the riding tour. We go through our itinerary and how the equipment shall be packed in the pack roll bags that we use on the horses. After lunch in Ammarnäs we go directly to our horses and prepare for departure to Fjällhästen’s camp at Tjaskal which means a ride for eight kilometres. When dinner is being prepared there is time for relaxation and if you’re interested in fishing there is both Arctic char and brown trout in the lake. The cot which is modern with folding beds can easily be remade to conference tables if you wish. After a good night’s sleep we have a sturdy breakfast, saddle the horses and ride up on the mountain Gieråive and further out on Stuore Jåppe. Below us is the bird protection area Marsivagge where there are plenty of mountain birds and if we’re in luck we might see a Golden Eagle when passing. At least occasional reindeers curiously follow us at a moderate distance.There at Lake Raksjaure we let our horses rest and we eat our lunch packages with the traditional Sámi bread, Gakku. After about an hour’s break it’s time to head back towards Tjaskal for dinner and spending the night. During the day we’ve tried the racking gait and perhaps some galloping for them who feel up to it. Today’s riding distance is approximately 25 kilometres. As an alternative those who aren’t as interested in can riding stay by Tjaskal and fish the third day instead of joining the day’s tour to Raksjaure. If you choose this alternative you fish for free the whole day in Tjaskal. In Tjaskal it works well to fish with both spinning- and fly rod so every option is available for the game fisherman. After breakfast we saddle the horses to get back to Ammarnäs. The riding distance is eight kilometres and we count on being back around noon. Shower and sauna are available at the hostel. The guests who wish to stay yet another night in Ammarnäs can book accommodation with Fjällhästen. 5 050 SEK per person. 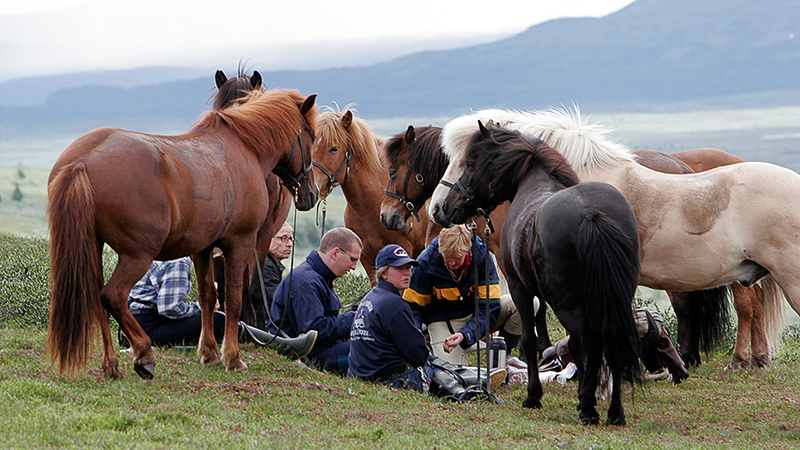 The price includes Icelandic horse, guide, food and accommodation in mountain hut and at Fjällhästen’s hostel including breakfast. If you want to fish during the tour you supply yourself with the fishing license for the State’s mountain fishing waters before we leave Ammarnäs.